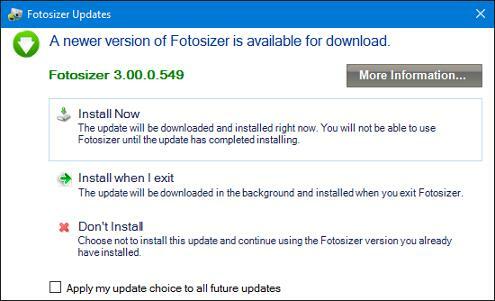 Choose your pictures you wish to resize using the Add Images button inside Fotosizer. 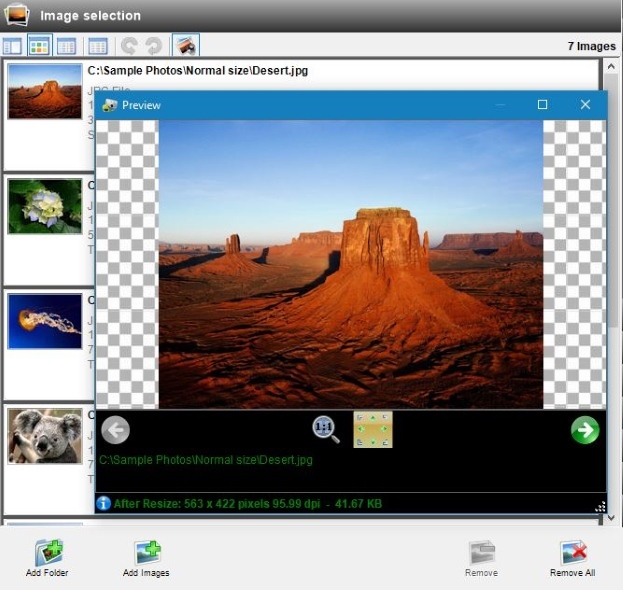 Choose a folder of pictures using the Add Folder button inside Fotosizer. 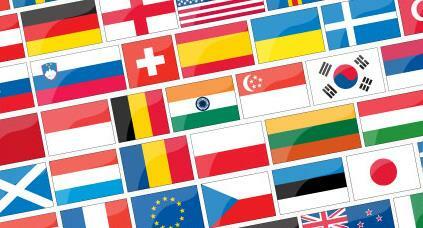 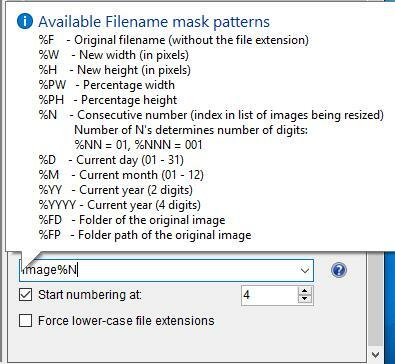 Drag and drop your pictures or folders of pictures into the Images selection list in Fotosizer. 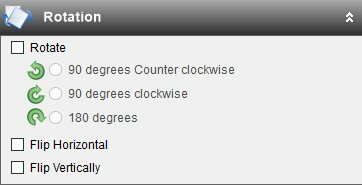 Include sub folders when adding from a folder. 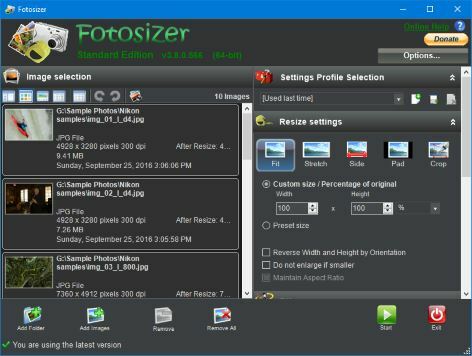 Choose to display Fotosizer using the classic "Light" display mode. 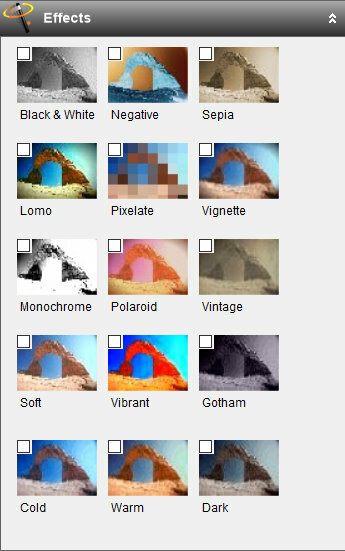 Choose to display Fotosizer using the new "Dark" display mode. 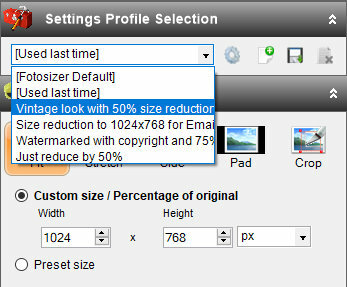 Fotosizer is available in the following languages: English, French, German, Spanish, Italian, Turkish, Portuguese (Brazilian), Portuguese (Portugal), Russian, Ukrainian, Chinese (Traditional) Taiwan Region, Chinese (Simplified), Dutch, Danish, Bulgarian, Norwegian, Slovak, Slovenian, Korean, Hungarian, Romanian, Greek, Serbian (Latin), Czech, Polish, Latvian, Arabic (Saudia Arabia), Hindi, Vietnamese, Swedish, Finnish, Armenian, Japanese, Thai, Indonesian. 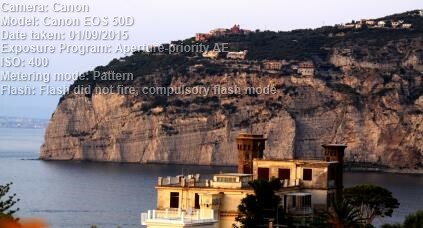 Choose between the actual size of the photo in the preview or fit the photo to the window to view all of it. 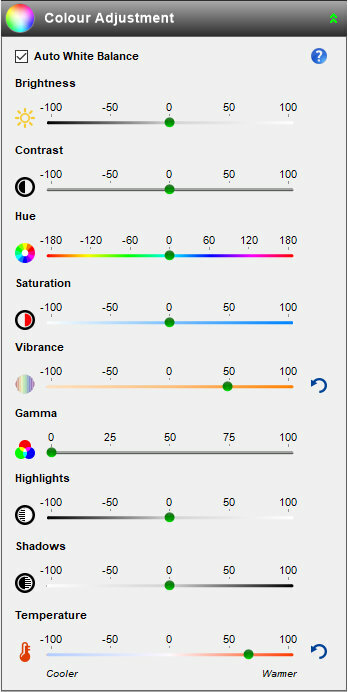 Move between the each photo to preview how they will be changes. 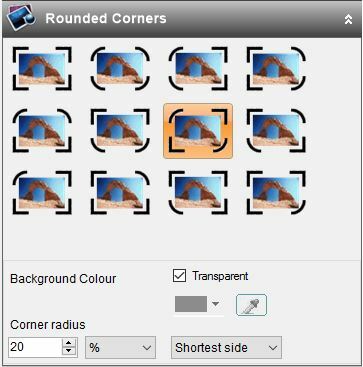 Displays the new dimensions and new file size per image inside the preview. 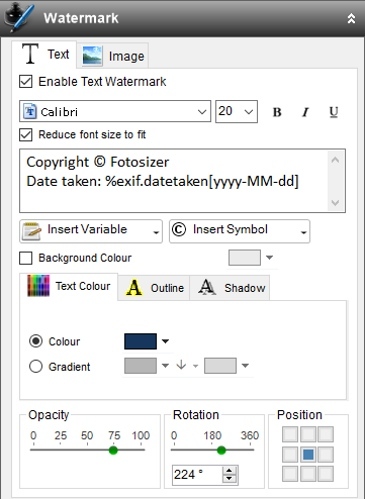 Reduce font size to fit the target image. 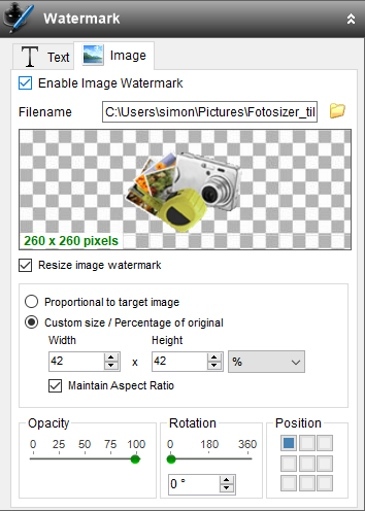 Choose to resize image watermarks proportionally to target image. 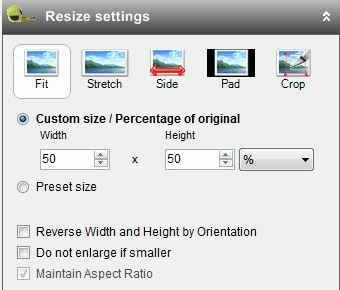 Choose to resize image watermarks to a fixed size. 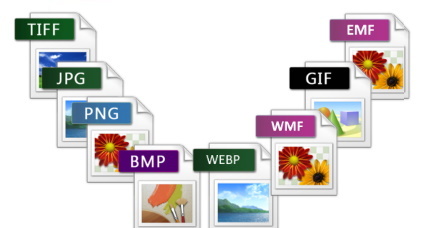 Choose to move original images to a folder on completion. 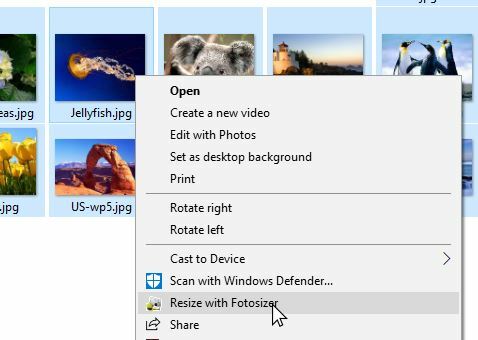 Choose to permanently delete original images on completion. 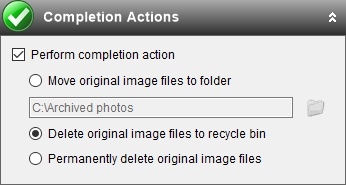 Choose to delete original images to recycle bin on completion.